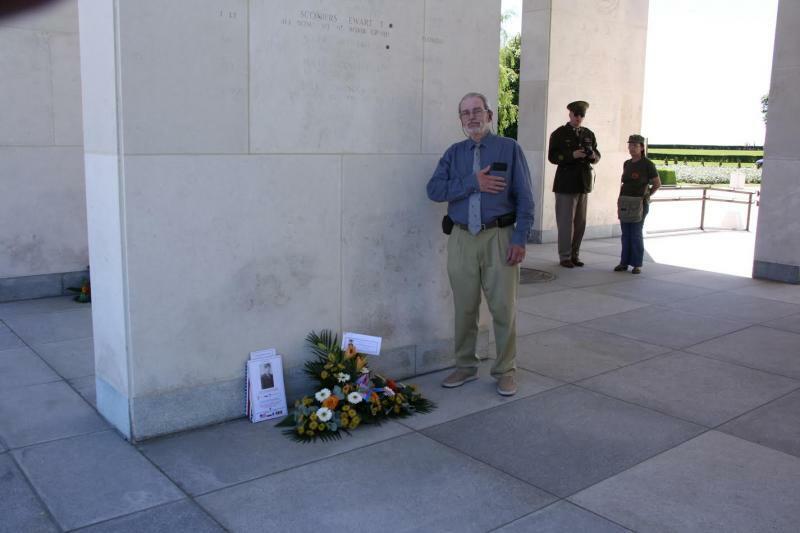 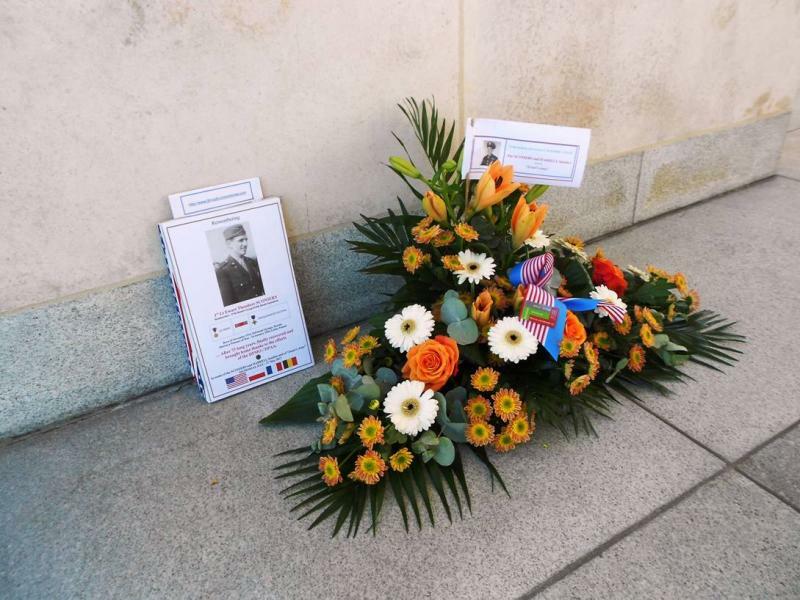 One of "Ewart's Army," Ed Reniere, of Brussels, Belgium created and offered a touching remembrance at Sconiers' Tablet of the Missing at the Henri-Chapelle American Cemetery in Belgium. 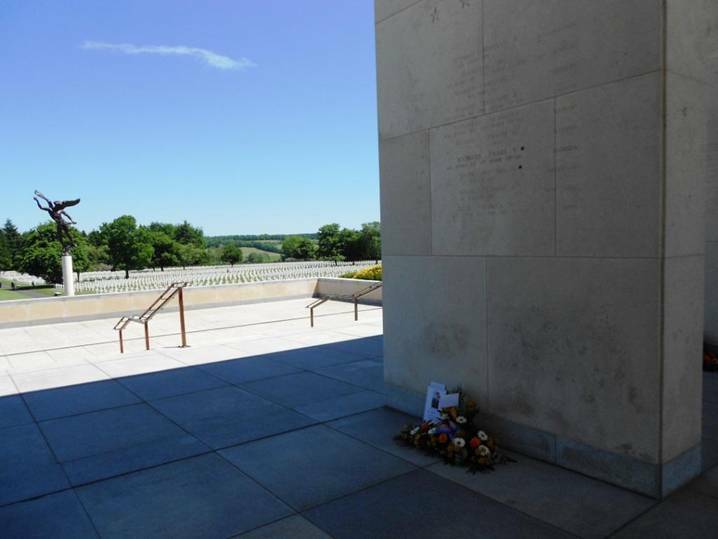 The Henri-Chapelle American Cemetery contains burials from all major battles in Nothern Europe from September 1944 through March 1945, including the Battle of the Bulge. 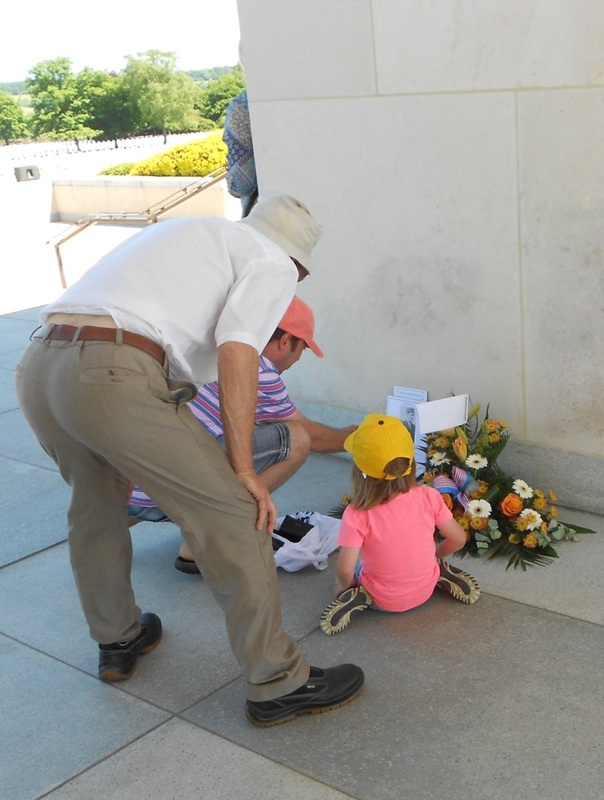 The cemetery is the final resting place for 7,992 American war dead. 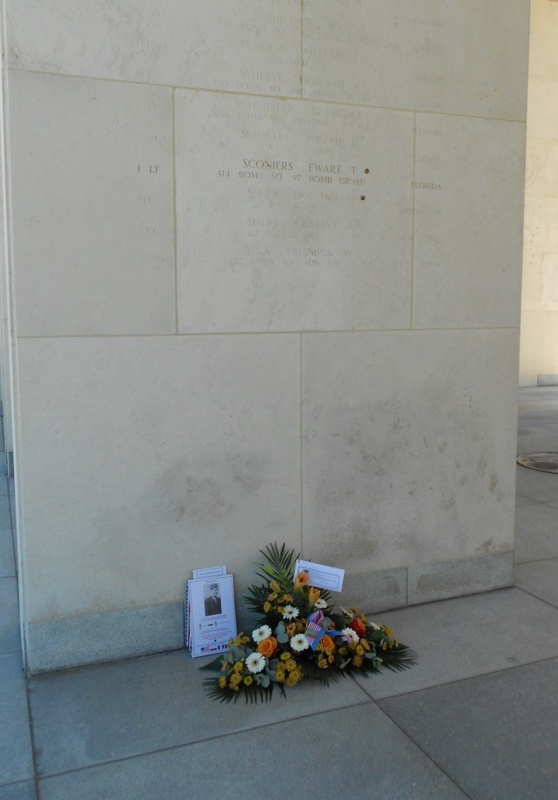 On the walls of the colonnade are inscribed the names of 450 of the missing--Lt. Ewart T. Sconiers among them. 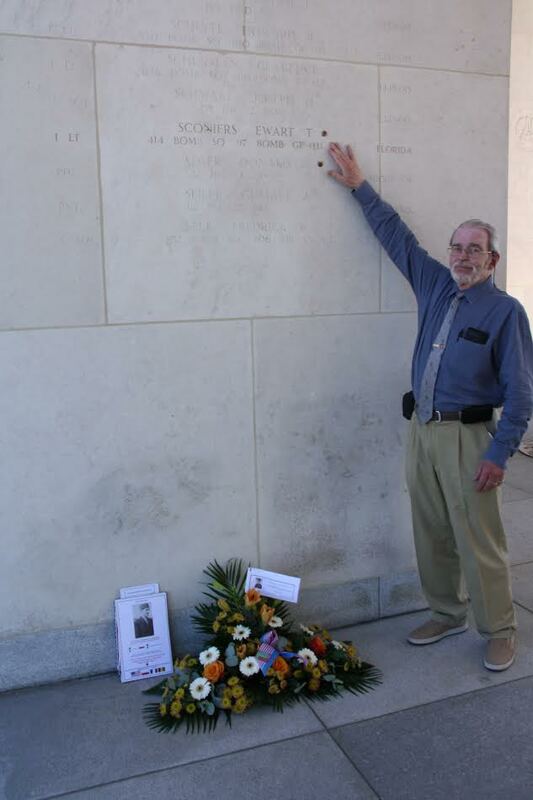 Recently, a rosette was added next to his name to signify his recovery.